I have been a fan of a "square" setup for a while. 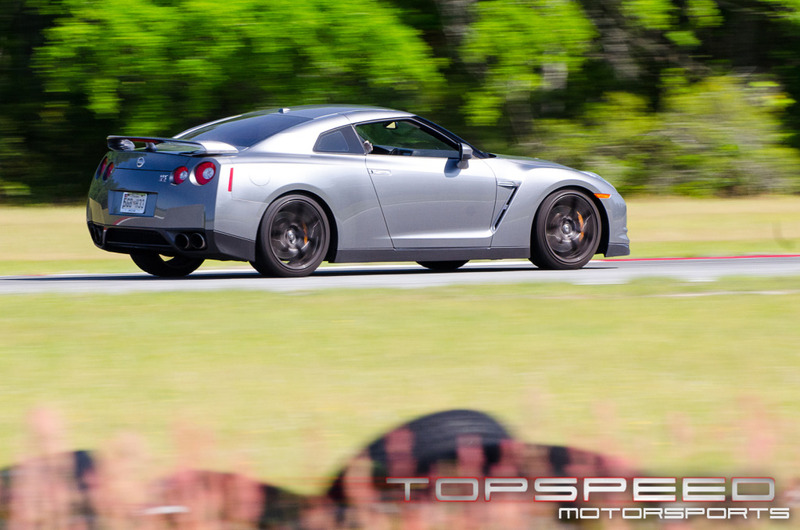 In this test by TopSpeed Motorsports they take what has been a favorite tire in the GT-R World, in new sizes. In this test, TopSpeed takes a stock Nissan GT-R, sticks Leh Keen at the helm, and tries out a few different tire setups. The first is the slower of the two available Nissan GT-R tires, the OEM Bridgestone Potenza. The OEM Dunlop is a little quicker than the Bridgestone, even though it was the "Premium" tire for 2009-2011, with the Dunlop being the base option tire. 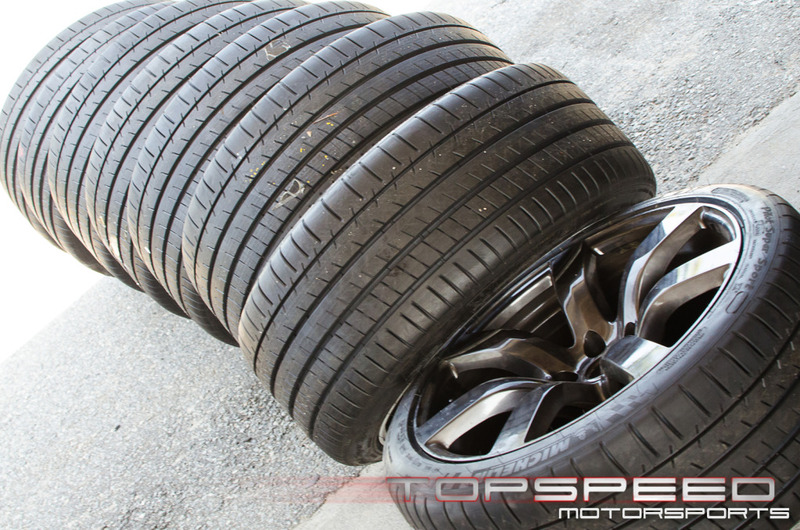 In 2012 Nissan went with the Dunlop Sport Maxx as the OEM tire of choice for the GT-R. The test was performed using three different setups, on the same car, back to back, with the same driver. Check out the video and driving impressions from Leh below. Here is the feedback from driver Leh Keen concerning the three different setups. Stock Potenza staggered - This obviously is a great tire for dry conditions. It works very well on the GT-R as it was designed specifically for the GT-R. This is a proven setup that the factory has chosen. It is a runflat and has a very stiff sidewall. I know this tire does not last long with normal road use. It is also horrible in the wet and noisy on the road. Compared to the factory sized PSS setup the Potenza was 0.1 seconds slower in lap time. The Potenza did not quite have the overall grip of the staggered PSS but did show more response from the front and better balance although still had a bit of push. The threshold of lateral grip held a bit longer than the PSS but then had a quicker release rate. The sharpness of the front helped with understeer and this gave the car better balance then the staggered PSS. The front would simply respond to inputs better resulting in a better balance in the car. Although the time was 0.1 slower on the PSS, the car was nicer to drive and "felt" better on the factory setup. PSS staggered - The PSS showed great overall grip but lacked balance. The 255 just doesn't seem to be as aggressively built as the 285 relatively speaking. That said it was 0.1 quicker due to overall grip and was easier to drive with push being the determining factor. The response was dull from the front and would easily slip into a push. The threshold of grip had a steady fall and was smoother than the Potenza. It was easier to find the limit of the tire and go over it. The PSS "talks" to you more and tells you its limits easier. The rear 285 easily overpowered the front 255. The PSS is great in the rain also and has less road noise. PSS Square - This was awesome. This setup "fixed" the understeer that the stock and staggered PSS setups had. The front responded well to steering inputs and had the overall front grip to make the car turn. Although not as sharp as the Potenza the general front grip made up for that. Overall grip increased but only marginal the big difference was the balance. The time was a full 1.0 second quicker using this setup! 80% of that time increase was thanks to the better balance in the car. Actually I would say the car was almost perfectly balanced (for a completely stock car). Slight understeer in lower speed corners with slight oversteer in entry to med and lower speed corners, which is simply a GT-R character trait. It was easier to find the limit of the tire and that resulted in a great overal feeling and confidence. I was very impressed with this setup and was surprised to see how much quicker it was. Last year at the One Lap of America, the Top Speed team ran the PSS in a 315 size all around on their Nissan GT-R. Not only did they win overall, they destroyed the competition. This year, they are looking to do more of the same.